While the name of the movie isn't very original, Ek Ladki Ko Dekha Toh Aisa Laga by Shelly Chopra Dhar is quite refreshing. 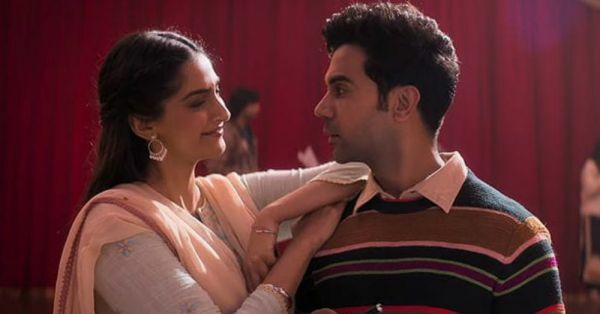 Produced by her brother, Vidhu Vinod Chopra and starring Sonam Kapoor, Rajkummar Rao, Anil Kapoor and Juhi Chawla in leading roles, the movie is about falling in love while breaking heterosexual norms. The film time I saw the trailer for this movie, I thought this is going to blow my mind because this was the first time mainstream actors were making a commercial movie about homosexuality. However, if you think this is a movie that would revolutionalise Indian cinema, then you're wrong. It is a take on love, through the eyes of a girl, who loves another girl, nothing more and nothing less. It isn't groundbreaking, but it is the start of something, even if just a conversation. And somehow, that is enough. I just spend two hours watching a well-made love story, whose highlight was Anil Kapoor and Juhi Chawla's acting. Not to mention, Rajkummar Rao's impeccable acting as a supportive best friend. I know there are going to be a lot of people who would call out Sweety, Sonam Kapoor's character for being too timid or understated but that's what made the movie so good for me. It is easy to make a movie where the protagonist is loud and bold, over-the-top and an activist who is fighting the world, but Sweety is just fighting herself. She isn't bold, just because she is gay, instead, she is who she is - fragile, adorable, an artist, who just happens to love another girl. Before you buy your ticket to this film, here the thoughts I had while watching Ek Ladki Ko Dekha Toh Aisa Laga. 1. Anil Kapoor's love for food is real AF. 2. Awww... cute boy alert! Raza (boy no 1 from a bunch of shaadi proposals Sweety is about to get) is such a delight. Though, who goes straight to a marriage proposal? 3. Understated Sonam Kapoor is interesting to watch, I'm guessing it took a lot of restraint to pull this off. 4. Rajkummar Rao plays a young writer with a big famous Bollywood dad who wants him to become an actor. How sad. 5. Juhi Chawla takes over the screen in a second, her presence makes Rajkummar fade away into the background. 6. Sonam has a new accent in this movie and surprisingly, I'm not hating it. 7. Is her brother chasing her down? He looks scary and thick. 8. 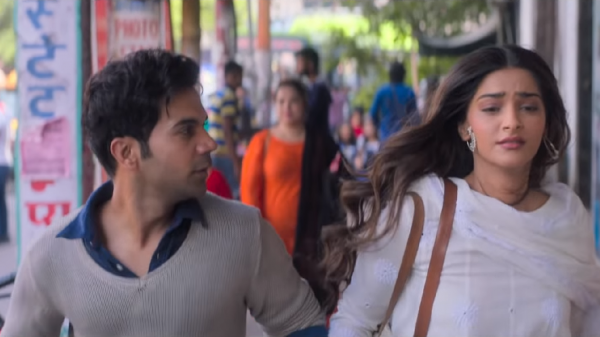 'True love ke raste mein koi na koi siyappa hota hi hota hai ... agar na ho toh love story mein feel kaise aayegi,' I thought I'd hate this dialogue but it strangely fits into the scene. 9. Delhi to Punjab, mil gaya siyappa. 10. Anil Kapoor is a designer who loves cooking and is the cutest thing ever. He is also fondly referred to as mogha ke Mukesh Ambani. 11. Remember Raza, guys? He's in London. And Sweety wants to run away to London. Are you making the connection? 12. Moms and their phone calls, always perfect timing. You better pick up! 13. Mummy ji ki tijori is so epic. You'll remember this. 14. I have a question. who falls in love in 10 minutes? movies give you such unrealistic expectations. 15. Did you know, DJ hai apna Parminder? P.S. It's one of the songs, go Google it. 16. Old people falling in love, the highlight of the first half. 17. Sweety comes out of the closet and the entire theatre is laughing and this is what is wrong with our audience. Sigh. 18. Anil Kapoor is breaking young hearts and finding love himself. 19. Cute babies are too fragile, this flashback is making me cry. 20. Friends like Rajkummar are so important, thank god he didn't start screaming "friend zone!". 21. Juhi Chawla's monologues are saving the day! Look out for her gyaan. 22. Everyone knows Salman Khan ne nahi karni shaadi. 23. The movie has really strong supporting actors, they actually make up for the movie's simple storyline. 24. 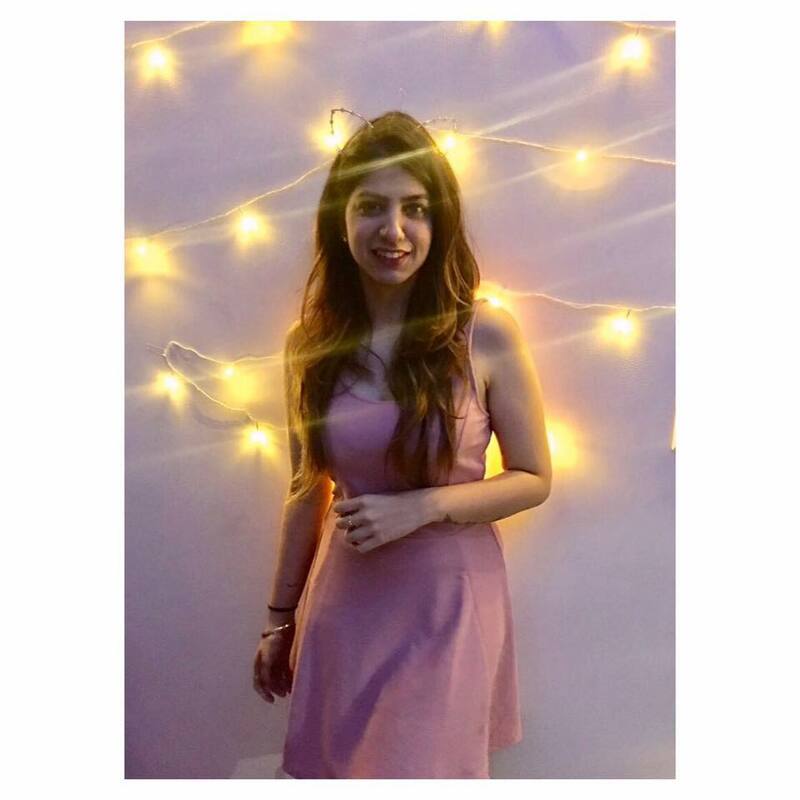 Karz style ending coming your way, from her diaries to the big stage. 25. Something is wrong with Kuhu's dubbing. Who is Kuhu? She's the star of the show! No, I won't tell you more. 26. Everyone needs to watch this movie with their homophobic friends. It'll be exciting... and eyeopening. 27. I can feel everyone around me cringing at the screen as Anil Kapoor finds out about Sweety's sexuality. 28. Here come the waterworks, because the story is so heartwarming or 'paisa ispe kyun waste kiya?' as the guy next to me likes to put it. 29. Can someone please give her brother and the guy next to me a tight slap? 30. 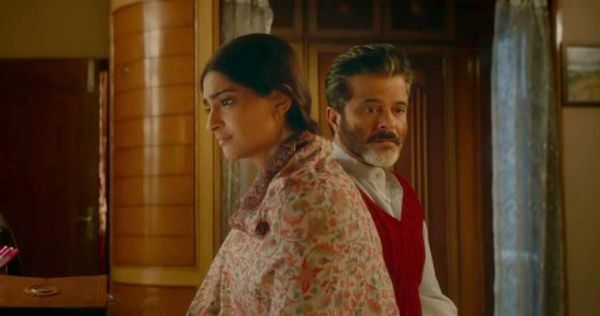 I thought the movie was about a couple in love but it's actually about a beautiful father-daughter relationship, played aptly by Sonam and Anil Kapoor. That's all for now! While I do think it is a great start and a pure entertainer, the question of 'do women need male validation to be themselves?' will be raised after this film. However, I believe that you are bound to crave the validation of the people you love, who is this case happened to be her father. So give love a try with Ek Ladki Ko Dekha Toh Aisa Laga, which gets 3.75/5 from me.